MEMBERSHIP: Our members include dedicated men & women, leaders in Orange County, who represent a wide diversity of professions and interests. 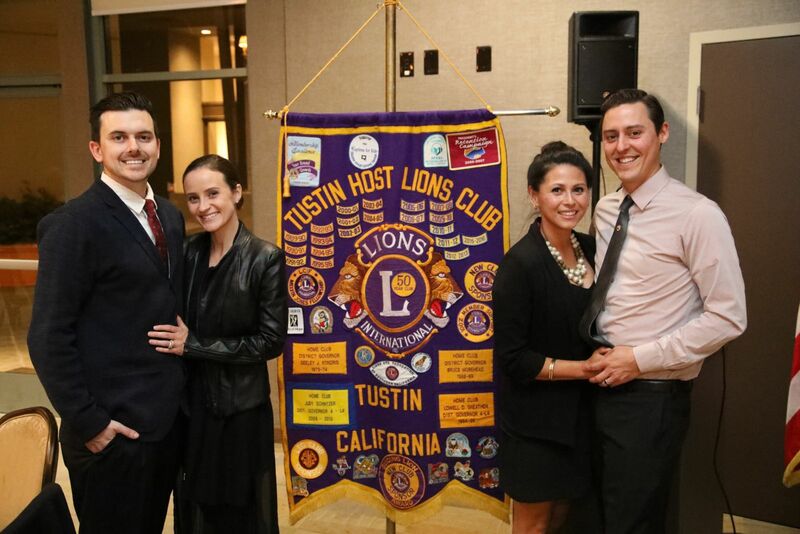 About 40 members strong, the Tustin Host Lions Club partners with local individuals and organizations to help those less fortunate than we are. You simply won't find a better place to invest your time, talents and energy! Being a Lion allows you to help change lives, even if you don't have a lot of spare time. We have various types of membership that are flexible to meet your needs. There are many ways to serve our community. Work on what interests you! Our members are like family! We enjoy social activities and have tons of fun together throughout the year. Your membership in the Tustin Host Lions Club enables you to attend all meetings of all Lions Clubs worldwide! So, if you are traveling to Japan, Norway, Italy or Australia this year, or if you are just going home to Georgia, you can hook up with a great group of people who will warmly welcome you during your travels! Membership Dues vary from $15 to $30 per month depending on your type of membership. Dues are payable monthly. MEETINGS: We hold 2 meetings per month. We meet every 1st & 3rd Tuesday for lunch. Our lunch meetings are from 12:00 Noon until 1:30 and include a program speaker. Meetings are held at The Citrus Cafe, 1481 Edinger Avenue in Tustin. Meetings are fun! Attendance is encouraged but not required. Please visit us soon! Feel free to contact us at 657-229-0246 or tustinhostlions@gmail.com for more information.